Conflict of interests; Political aspects; Europe, Eastern. Political campaigns; Corrupt practices; Europe, Eastern. 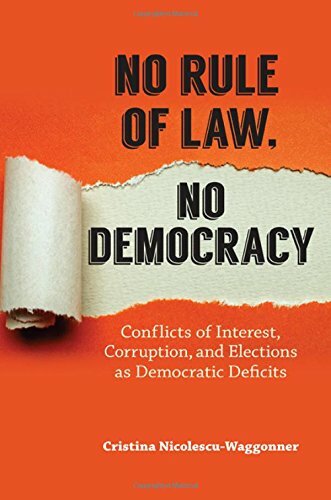 Amazon.com description: Product Description: Argues that new democracies face consolidation challenges due to campaign finance corruption and the unwillingness of politicians to reform rule of law enforcement.